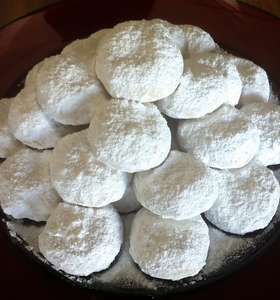 Post Tagged with: "powdered sugar"
Have a snowy Merry Christmas with these amazing sweet butter cookies! 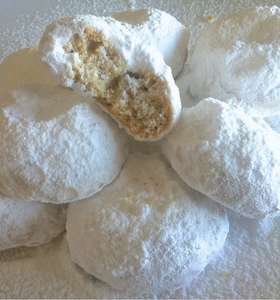 If you have ever tried making your own homemade kourabiedes before, you must know that it surely takes some time and effort to succeed. Not any more! This recipe changes everything.. 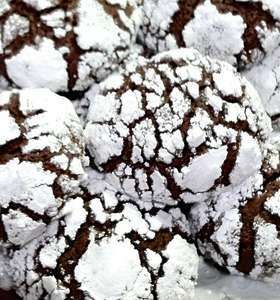 Discover these beautiful and highly addictive Christmas snowy chocolate cookies! 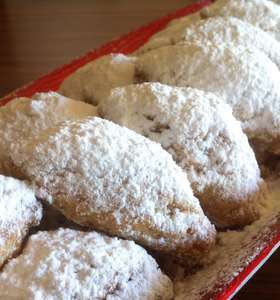 Crispy on the outside with a chewy middle rich in chocolate and all this sprinkled with ‘snow’ – powdered sugar! A true pleasure to make and highly impossible to resist! This is the perfect christmas sharing dessert! Soft and crunchy crescents (skaltsounia) with a delicious, flavorful walnut, jam and apple filling. This delicious treat is perfect with a nice warm cup of tea for a cold evening! Find out more about amazing treat here! Our very best recipe for Kourampiedes! Traditionally made to celebrate Christmas, these sweet little butter cookies will definitely set you on a festive mood! 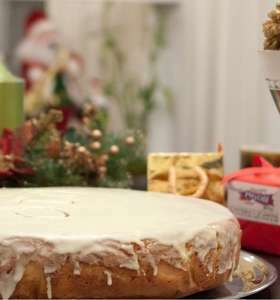 Click here to discover the secrets behind this irresistible Christmas treat!